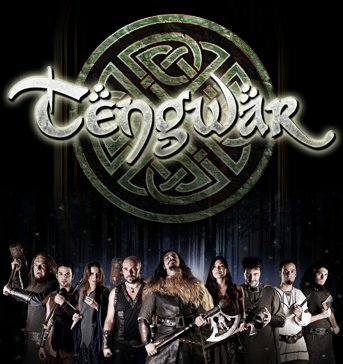 Tengwar is a metal band from Argentina, founded in 2003, who, as the name suggests, bases its lyrics on Tolkien's works. The band has two EPs and one full-length album, which was released last year: The Halfling Forth Shall Stand. The band's name is after the alphabet Tengwar (which literally means "letters"), devised by Fëanor during the First Age. More information about the alphabet Tengwar you can find in here. Their album The Halfling Forth Shall Stand. has 15 tracks, and was released in 2011. The songs follow the plot of the first volume of The Lord of the Rings: The Fellowship of the Ring. By reading the band members and their instruments, you can get an idea on how the band sounds, they combine a lot of flute playing with excellent violin playing, a high-pitched male voice, drums, occasional growling, etc. It's a long album, 66 minutes of music, though it is very enjoyable. More information about the violin playing, in this nice Volins in Metal blog. 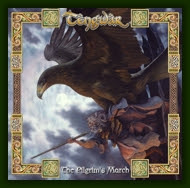 Their first EP is called The Pilgrim's March, released in 2005, and it contains two tracks: Marching South, and The Pilgrim's Gone. 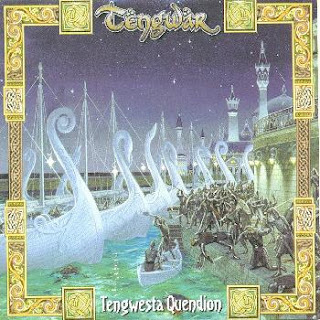 In 2008 they released their second EP called Tengwesta Quendion, containing 5 tracks of which Namarië is definitely a highlight, though it was not included in their full-length album. The other songs include Tengwar, Bear Skin, Trotto, and Visions of Mortality. Finally, in 2011 they released The Halfling Forth Shall Stand. 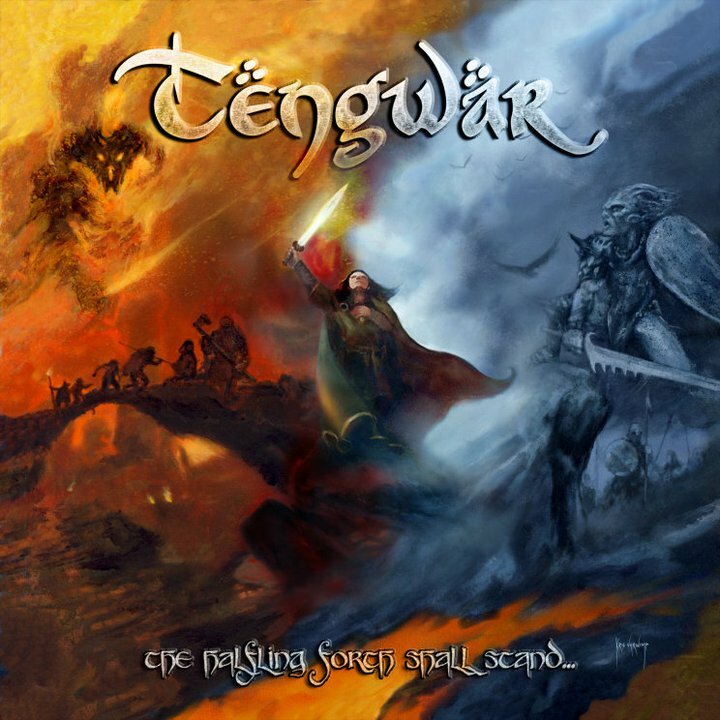 My favorite songs are The Pilgrim's Gone, War Begins and The Bearer's Choice, short instrumental songs, like The Halfling's Rise, and Uruks, an excellent instrumental song that reminds me of Folkearth's Instrumental. This is a live footage of Uruks, awesome song, for the album version, go here. Watch their energy and awesome performing! I hope you enjoy this band, they deserve our admiration. And as always, if you like the band, support it and buy their cd!